A truck carrying books by authors including Dan Brown and Paulo Coelho have been seized by authorities in eastern Libya. Officials reportedly claimed the books promote secularism, Shi’ism and perversion. An image of the seizure by the Al-Marj-based Awqaf and Islamic Affairs Authority was tweeted, showing the books being removed from a truck and put on display. Along with Brown and Coelho, the haul included books from Friedrich Nietzsche and Egyptian writer Naguib Mahfouz. 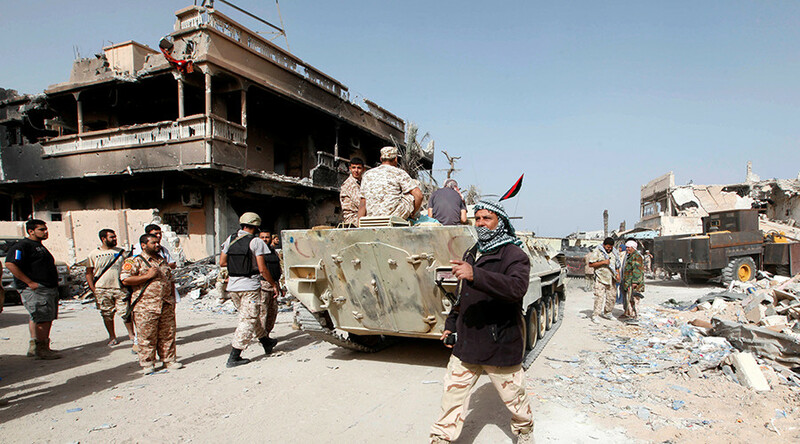 Journalist Ghaith Shennib said the seizure took place at a checkpoint belonging to the Libyan National Army. Salafists from the religious affairs ministry were present at the seizure, according to Shennib. @sharon_lynch@HamamaFaraj the checkpoint where the books shipment was stoped belongs to LNA, MoI criminal investigation unit searched .. The truck was transporting the books from Tobruk to Benghazi at the time and had already been vetted by the interim government’s information and culture authority, headed by Khaled Najm. “I truly decry the confiscation of books and consider it a blatant violation of the freedom of thought,” he said. The Libyan writers’ union also criticized the seizure, calling it dangerous and amounting to a suppression of freedom of thought. While the author also had his say on Twitter. Despite Coelho's concerns, journalist Mary Fitzgerald in Libya said on Twitter there is no sign the seized books will be burned. Authorities claimed the books, which had been imported from Egypt, had not been confiscated but impounded pending assessment. Masoud Al-Nathori from the Al-Marj office of the Awqaf and Islamic Affairs Authority told the Libya Observer that the books advocate Shiism, moral laxity, Sufism, secularism, and perversion. Libya is currently in a state of civil war after being torn apart by fighting following the US-backed bombing campaign of the country in 2011 which led to the removal from power and death of Muammar Gaddafi. The ongoing conflict is spurred by rival groups and factions, including Islamic State (IS, formerly ISIS/ISIL), seeking overall control, as well as the internationally-recognized government in Tobruk – the UN backed Government of National Accord – and the Tripoli-based General National Congress.